MELROSE PARK, Ill. (WGN) -- When it comes to Halloween costumes, there's one kid from Melrose Park that's been stealing the show for years. Anthony Alfano, 8, is dependent on a wheelchair to get around, but come Halloween, that wheelchair is transformed into something magnificent. Starting in June, Anthony’s dad transforms their garage into a full costume making lab. This year he used a trailer hitch, an old battery operated motor and a lot of ingenuity to make a “Wheel of Fortune” costume. 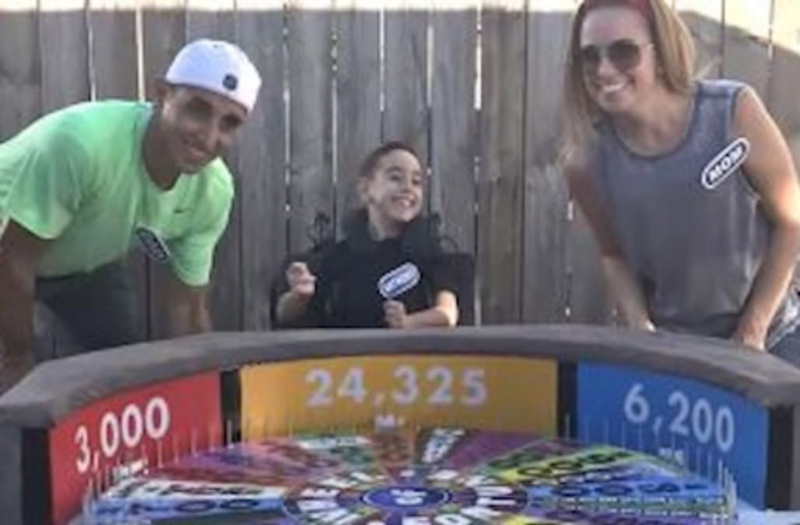 “Wheel of Fortune” is Anthony's favorite game show and now he has the light up prize wheel attached right to his wheelchair. Anthony's mom, Deanna, said "the second he saw it spin, his whole face lit up." All eyes have been on Anthony’s over the top Halloween costumes since he was a baby, dressed in a bedazzled Elvis Onsie. Over the years, he has gone as Pinocchio, a hockey goalie, Zoltar and even a jockey. Last year he went as a Lincoln Memorial snow globe. "Everyone is like, 'How are you gonna top this next year?” But we do!” his dad said. His parents said it's the one day that their son isn't just the kid in the wheelchair, but the boy with the awesome costume.